The definition of Expressive Arts therapies is broad and ever- changing. There are various approaches from image interpretations to active visualisation. With the advancement in technology, digital art therapy and online art therapy are also increasingly common. 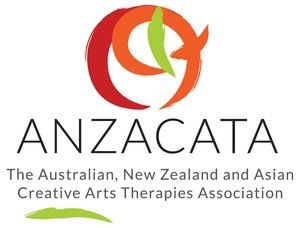 Despite the many ways of doing arts therapy, the unifying principle is that the therapeutic impact is achieved through a combination of creative process, psychological theory, and the therapeutic relationship. Contrary to common beliefs, arts therapy is not about being good at art. It is simply a way of activating another part of your brain. The basis of our work in Eggshell Therapy is expressive therapies, the practice of using imagery, storytelling, music, drama, poetry, movement, dreamwork, and visual arts, combined with therapeutic principles and techniques. Art therapy uses art media as a form of expression and communication. In Art Therapy, art is not used to diagnose but to express your thoughts and feelings. In recent years, art therapists are increasingly informed by attachment-based psychotherapy. It is also combined with approaches such as psycho-educational, mindfulness and mentalization-based treatments, compassion-focussed and cognitive analytic therapies (BAAT). Mounting evidence in neuroscience suggests art therapy heals us not only on a cognitive and surface level but in a deeply emotional and sometimes unconscious way. Drama therapy is the use of drama and associations to achieve emotional integration and personal growth. It is an active approach that helps you tell your story, achieve a catharsis, deepen your inner experience. Through the art of role play, we can gain perspective to our life experience. Some of the things we might do are: Storytelling, Role-playing, Rituals, Improvisation, Mime, creative script writing. Poetry therapy is the use of the written and spoken word for healing and personal growth. Through the use of poetry, literature, visual journals and song lyrics, we will explore materials hidden in your unconscious, and help you integrate them into your psyche. Poetry is helpful in this process as it helps you express emotions that might otherwise be difficult to express. It also open you up to new ways of seeing your life. Unlike dream interpretation, dreamwork is not about finding at a particular dream meaning. It is an organic process that explores deeply unconscious thoughts, desires, motives and emotions. While these dreams are personal to you, the symbolic meaning of them often touch on something universal. Therefore, exploration of Jungian archetypes that emerge in your psyche is a big part of this process. I may ask you to keep a dream journal to ‘catch’ your dreams. This is an extremely powerful technique when it comes to exploring what is unknown to us. Bibliotherapy involves reading specific texts with the purpose of healing. I may prescribe readings on philosophy, poetry, novels and creative non fictions, and sometimes graphic novels or even children’s books. Bibliotherapy can consist solely of reading, or complemented with discussion and art- based activities. There is good evidence that books can help people with many emotional and psychological issues. Play therapy uses the therapeutic powers of play to help you resolve psychosocial difficulties and achieve optimal growth and development. Play therapy techniques are not just for children but also adults and your inner child. Gestalt Therapy is a psychotherapeutic approach developed by Fritz Perls. This approach focuses on the present moment, and on immediate thoughts and feelings, make it a playful, spontaneous and expressive. Gestalt therapy is distinct because it involves action, rather than mere talk therapy. The work often uses role playing to aid the resolution of past conflicts. Through various experiments, I will support you to directly experience something new, so you have an embodied experience of positive changes, which is ultimately the most sustaining.